This is most common type of crown and has a proven track record. PFM crowns are fairly aesthetic and they look like real teeth. 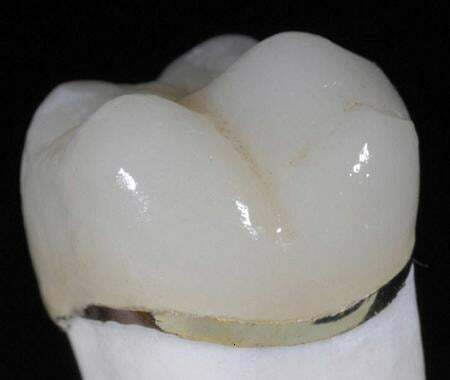 However, the margins or borders may appear dark because PFM crowns have a metal substructure with layers of porcelain fired over the substructure. Porcelain is very hard, much harder than natural enamel and may cause excessive wear of the enamel of opposing teeth. Porcelain may break with extreme biting forces.